In the 1960s, there was a huge shortage of professional welders in Finnish growth centers. 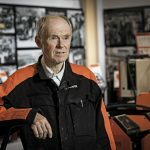 That is why Keijo Olkoniemi, whose career as a welder has lasted for almost 50 years, trained to become a welder, a profession which has offered him challenges throughout his career. ”I remember when they said at the dockyard in Hietaniemi, Helsinki that you can bring a train full of skillful employees, and we will hire them all,” Olkoniemi says, laughing. Gas welding machines were replaced with stick welding machines in the late 1970s. In the next decade, MIGs were already common and stick welding machines were only used in special cases. At that time, Olkoniemi worked in concrete mold manufacture. Walls, for example, were cast into the molds. Gradually, the business changed, and instead of separate parts, entire factories were sold around the world – including installations. We brought almost everything with us, from, safety devices to welding machines. There were no equivalent machines available in other countries, and good tools were a requirement for high quality. Good welding machines ensure high quality and increase efficiency. Information travels between machines and even between continents. The machines have become more reliable, lighter and agile. 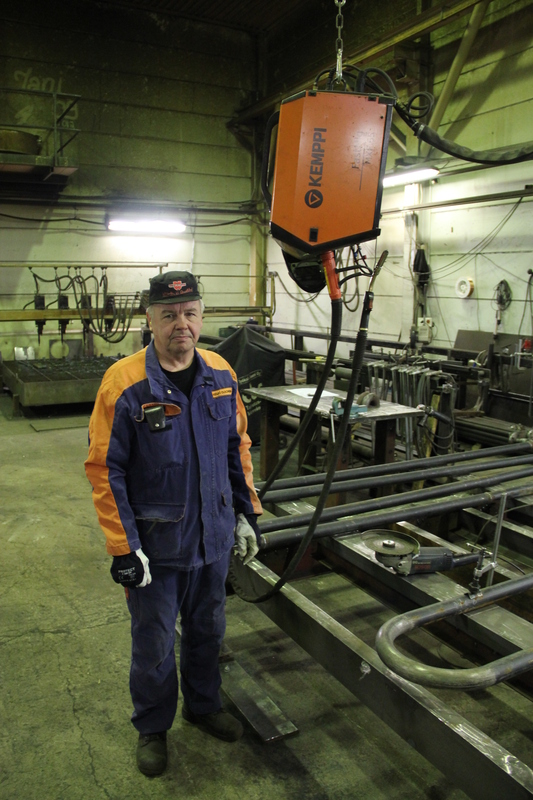 “Based on my experience, I can say that Kemppi has proven to be the most progressive and reliable welding machine manufacturer,” Olkoniemi describes. Olkoniemi’s working methods have always been based on the client’s demands and high-quality results, not so much on standards. Machined parts are often prefabricated and the drawings of the products are marked with the exact welding points, seam thicknesses and lengths. With detailed parts, the welder’s skills and the properties of the welding machine become highlighted – the seamless cooperation between a man and a machine. I’m not sure if I would still work as a welder now after 50 years if there had been no development in machine safety and ergonomics over the years. Today, the noise is the only reason why the work is physically exhausting. In the future, robotics and automation will become increasingly more popular in welding. 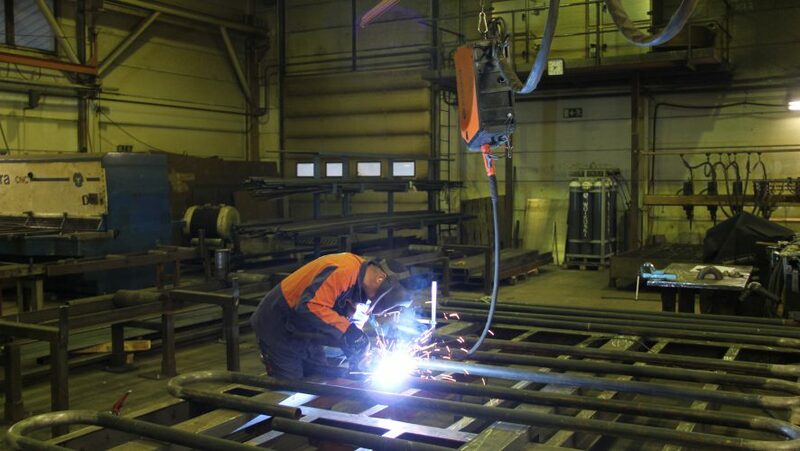 When welding large series of products, automation will surely be effective. There can be, however, major differences in raw materials, parts and conditions. There will certainly still be demand for manual welding in product development, customized product solutions and small series of products. Read the full story about how welding has changed over the past 50 years. 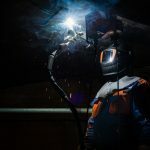 Welding Value is a corporate blog hosted by Kemppi Oy. 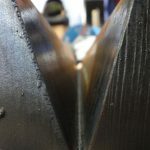 Its main purpose is to evoke discussion on the transformation of modern welding, and bring you the latest stories from within the global welding industry told by true experts in their respective fields.